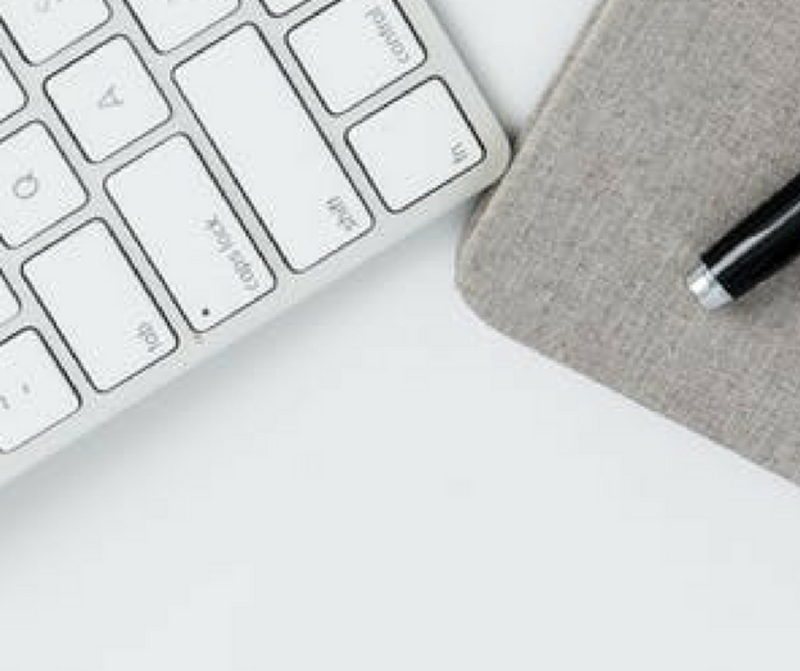 I've been blogging for around 6 years and affiliate marketing has always baffled me and despite attempting to give it a go on several occasions, I just haven't been able to do it. So this Christmas, I decided to focus a little more on this area of blogging and I'm pleased that I'm finally seeing some results. I am definitely not an expert (at all) but I just wanted to share how I earned my first £300 and hopefully inspire others to give it a try too. 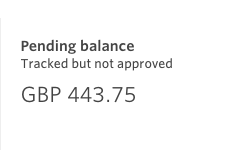 At time of writing, I've actually earned £443 using afflilate window over the past few months but I think it's important to exclude any income I've made through referring others to AWIN as if these people don't earn £20 themselves, I won't receive this commission so it's not guaranteed therefore I've excluded that amount. 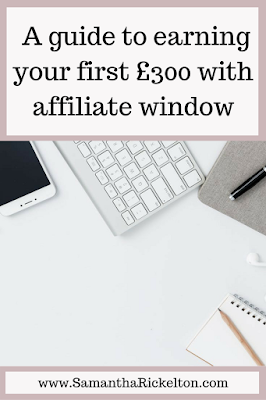 I've set myself a target to earn £2500 using affiliate window this year. Affiliate marketing is not just for bloggers - anyone with an online presence can use it. In simple terms, if somebody clicks through one of your tracked links and goes on to make a purchase from that website, you receive a small commission. The rate of commission can vary a lot depending on the brand - anything from 1% to 20% is normal (check individual brands for information). Affiliate Window is home to hundreds of brands from John Lewis to Boots, Premier Inn to Haven, Superdrug to Boden and Wowcher to Malmaison. 1 - Sign up to Affiliate Window using my referral link here. You need to pay £5 to join which is refunded with your first payment (once you reach £20 in earnings) or when you leave the programme. 2 - There are hundreds of brands to choose from. simply choose 'advertisers' from the top bar and then 'join programmes'. You can search by brand name or sector to narrow the choices and join as many advertisers as you like. To join, click on your selected advertiser, read their terms, complete a little about yourself and how you'd like to work together on the form and then hit submit. You'll receive an email to let you know if you've been accepted onto the programme or if your application has been declined. Don't be too dis-heartened if you're declined, some advertisers do have very strict criteria. If you feel like your application is in limbo or you'd like to appeal, there are email contacts under each advertiser if you'd like to get in touch. 4 - The chrome extension is super easy to use. If you're visiting a website and have been accepted onto their affiliate programme, a little green box appears on your browser. 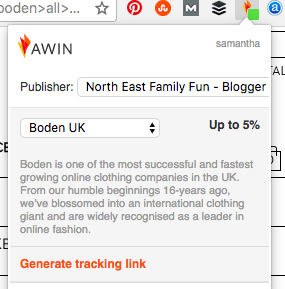 Click on this and then select 'generate tracking link'. This will give you a unique link which you can now add as normal to your blog post or Social Media. There is an option to shorten the code too if needed. It could not be easier! Anyone can use affiliate marketing but I think it works 1000000% better if you have an engaged audience, understand them and use this to your advantage. I used to post any old link and hope for the best but over the past few months I've learned to only post links that I know my audience will be interested in and that will naturally receive lots of click throughs - I don't need to work hard at promoting these posts. 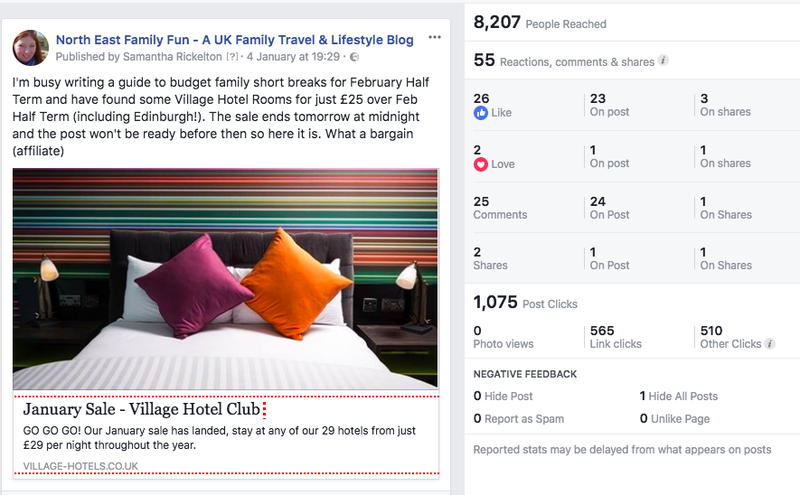 For example, a post featuring the Village Hotel Sale reached over 8000 people and received over 1000 click throughs with zero promotion from myself as I knew it would be of interest to my Facebook followers. I think it's really important to use a conversational tone and recommend products you are genuinely interested in. Writing something like - 'The Boden January Sale has started - check it out here: ' will not work as well as a few personal recommendations you have found in the sale and a call to action for readers to find out more. Some readers don't like affiliate marketing and that's fine, it's not for everyone. Expect a few unfollows but nothing significant. You need to be confortable with what you're doing and it's also really important to disclose links as being affiliate too. Being open and honest is always important as a blogger I feel, It's part of the CAP code that affiliate links should be identified and if somebody reports you to the ASA, you could find yourself in trouble. Affiliate links should be set as no-follow. I have found a mix of adding links to popular posts, posting deals across Social Media, including affiliate links in posts I wouldn't normally (eg my 'What's On' posts) and writing posts based around affiliate links (like this one) has worked for me. You need to put the effort in to get results and I can't stress how important it is to post links regularly. There are over 30 different reports you can run on your account and they're fascinating - you can discover where people are clicking through your links, how much they are spending, how long they left between clicking and making a purchase...... it's fascinating! The reports are also a fantastic learning tool and I know that my audience are receptive to Supermarket Toy Sales, Local Deals, anything from John Lewis and M&S and Holiday or Hotel Bargains as these sites have had the most click-throughs for me. I'll be concentrating on posting more links like this in the future. Some advertisers will send you a weekly email with upcoming deals, exclusive codes or product reviews. Don't ignore these! Use them to plan your week's promotions and which deals or products you're going to promote. It's not easy and it takes a while. Don't enter into affiliate marketing thinking it's easy because it's not. A lot of brands don't pay out for up to 100 days, some even longer and it takes a bit of practice for you to discover what works for you and your audience. If you select the 'My Creative' tab you'll find a range of adverts and banners you can add to your site. These haven't worked too well for me in the past but it's not to say I won't try them again - maybe I just haven't found the right one yet! You can add these to your side bar or in a post. What I love about AWIN is you have direct access to brands. Every brand on their has the contact details for the best person to contact and discuss affiliate marketing - perfect if you'd like to send a pitch about working together. You can also advertise your own brand and what you can offer brands in the marketplace. I've made a few decent contacts who have offered everything from holidays to Spain to make up reviews, camping equipment reviews and theatre tickets so this is well worth doing. This is definitely not a full guide to using AWIN and as I say, I'm just a beginner but after earning over £400 in the last month or so, I really wanted to share how I got started and hope you will find it useful too. Good timing I've just signed up! That's really good Sam, I've had some good collaborations through AWIN and made money, the referral ones are a bit of a joke because it's over a year before they pay you but most companies pay in around 3 months, I need a much better affiliate strategy this year and it's something I'll be looking at over the next few weeks. Brilliant post Sam! 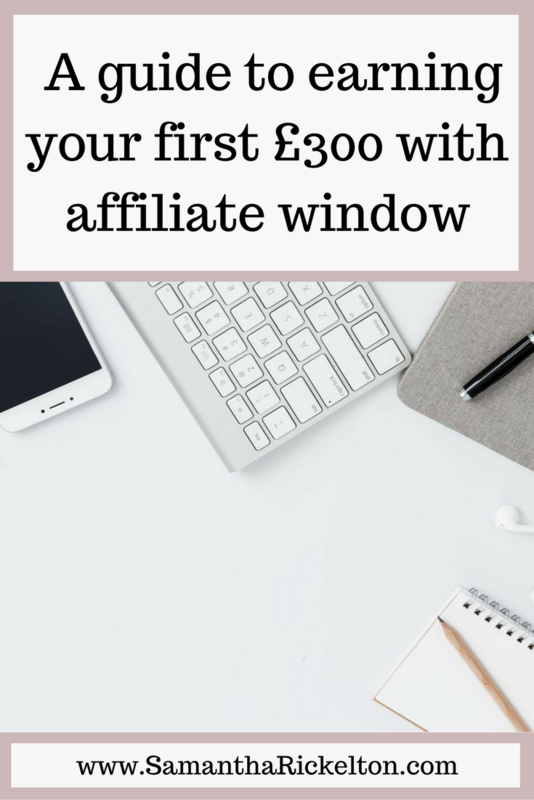 I've been with Affiliate Window for years and do earn from it but you've got some great tips that I've never tried! Thank you! This is great. I signed up to AWIN last year but didn't know what to do next! Thanks for the motivation, I need to look into this again. I also never thought to post to social media as well as blog posts. Great advice and guidance. I haven't really done very well so far with affiliates but, I'll give your tips a go and sign up thanks lovely. There's a lot here I have never really got to grips with, a really great post. But I think I need an idiots step by step guide to sharing the links on social media, I can't work out how to physically get the link and post it with a picture! oh wow that's amazing, well done! I need to put more into affiliate marketing this year, I've had £18 sat in my awin account forever! Such a useful post Sam- I've been toying with this so will add to my do list!